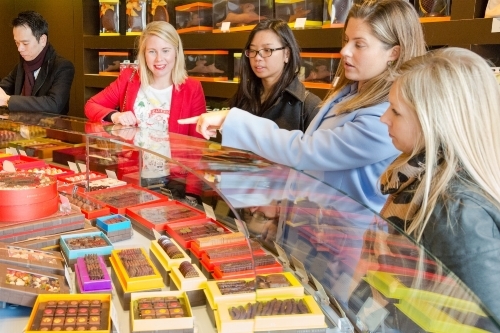 Sweet Tooth Tours 2018 — ALIX is an international membership of dynamic and engaged women professionals. London’s boroughs beg to be walked and explored and oh what delicious wonders to discover!! As hard as we fight it – a little chocolate or the perfect macaron is what we secretly crave when 4:00 rolls around and we have the perfect solution to satisfy that moment – a tour of a curated selection of confectioneries! ALIX has partnered with Lynne Staartjes founder of Sweet Tooth Tours. She is a passionate culinary talent and has trained with the best culinary confectioners in the world! Lynne grew up between the US and the UK and started her pastry career at age 18 in the kitchen of one of Paris’ grand palace hotels. She then went on to complete her degree in hospitality at the Ecole Hôtelière de Lausanne in Switzerland before returning to London. Lynne then worked in the office at Peggy Porschen Cakes and Pierre Herme Paris before returning to the kitchen for her diplôme de pâtisserie at Le Cordon Bleu. There are so many sweet treats to discover on our tour!! We will start at a macaron degustation at a famous Parisian patisserie followed by a chocolate tasting at a British chocolatier, and then watch how ice cream is made at an authentic Sardinian gelateria (of course with a sample!). We will conclude the evening with a visit to a cheesemonger that includes fresh cheese samples with a wine pairing. Our tour will last approximately 2 ½ hours during which you will meet the owners, learn about their delicious products and how they are made, and the history of the local area, with tasting opportunities in abundance.